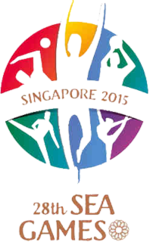 which will be host by Singapore. I think this was expected... anyway let's be honest, SEA Games is not serious - just a friendship event where the host always fixes to win maximum medals. My classmate who was before Parliment Secretary for Sports Ministry once joked with me that in SEA Games, second place is real champion! For Malaysian chess, our problem is now we have to find some other story to sell OCM, NSC, etc. for chess and this is not easy unless somehow young generation can emerge and become world and regional beaters.